We love seeing such young, talented writers enjoying the Museum. Thanks for the great story Alexie! A breeze blew by. Paige Calico was relaxing on her comfy hammock drinking a glass of pink lemonade. The sun shone brightly as a flock of birds flew by. Paige squinted. She could see a light brown figure bounding up the streets toward her. The figure came closer and closer. Paige could see it. It was a dog. The dog wagged its tail. Its honey yellow coat filled the air with a musty smell. I will call you Yogurt, thought Paige. She ran into the house and asked her mom if she could bring Yogurt to the vet to see if he was a stray. Finally her mom said yes. Paige raced down the street with Yogurt in her arms. On the way, Paige fell. Luckily it was just a scrape. Yogurt licked her face. The vet said Yogurt was a stray. He was a Burmese Mountain Dog. It was OK that Paige had her. Paige raced home, excited. She told her mom. Her mom said OK. She told her dad. Her dad said OK. The vet said come back in two weeks for his vaccination shots. That is how Paige Calico got Yogurt. The pair lived happily ever after. 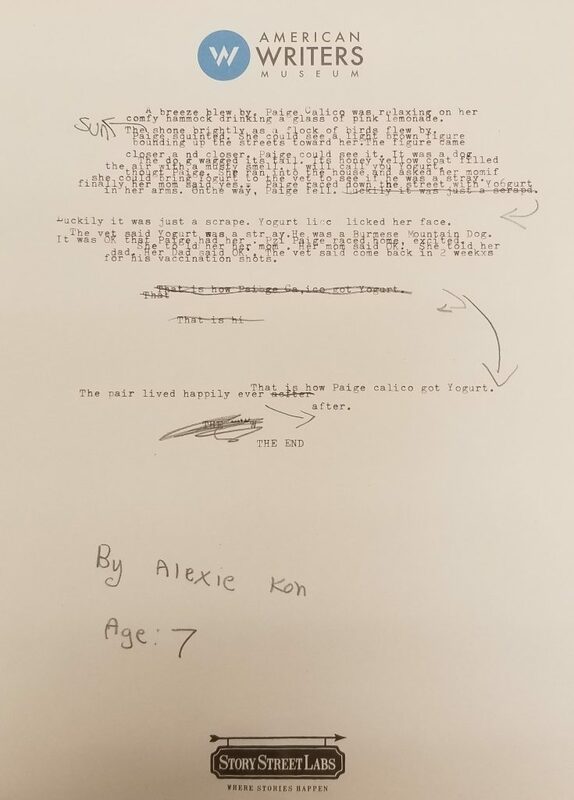 This entry was posted in AWM Story of the Week, Blog and tagged Alexie Kon, awmstoryoftheday, awmstoryoftheweek, Story of the Day, Story of the Week.